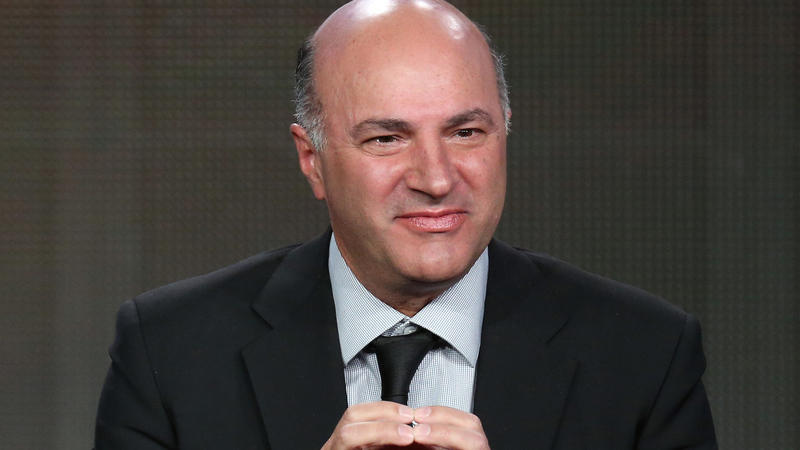 From reality-TV to Canadian politics, Kevin O’Leary certainly knows how to capture the public’s attention. Since his arrival on the scene of the conservative party leadership race, his past business ties and reality-TV appearances have sparked criticism and raised comparisons to President Trump. The shock value headlines in Canadian media peeked my curiosity. When I heard that Mr. O’Leary was giving a presentation at McGill, I decided to go find out for myself if the comparisons drawn between their rhetoric had any merit. He no longer holds such a rosy view of the Canadian economy. Over the next 38 years, O’Leary’s estimates project a 1.5 trillion-dollar deficit. That is, if current expenditures are maintained. If broken down, it would amount to an equivalent of 50,000$ of debt per Canadian, he says. Effectively, what this means is that future growth in the Canadian economy will be used to finance deficit interest payments for generations to come. O’Leary has openly denounced what he perceives as excessive public expenditures financed by our, the Canadian public’s “credits cards.” Instead, he has made the solemn obligation of his mandate to finance economic growth by creating a far more favourable economic environment. This, he says, would involve a drop in the corporate tax rate to match that which has been proposed by President Trump. Furthermore, Trump and O’Leary both share the view that their country’s natural resources must be exploited to achieve economic growth in the form of both, jobs and GDP. However, apart from both being brash reality-TV investors with conservative economic outlooks, the parallels are few and far between. It appears that this comparison has been drawn from a few surface observations. Therefore, it remains at best, unsubstantiated. The worry for O’Leary is that this kind of press may taint people’s desire to take him seriously. By deeming O’Leary the Canadian Trump, critics have discounted the notable differences that may make O’Leary a far more respectable candidate than he is portrayed to be. In fact, by framing our opinions with superficially-composed comparisons, we distract ourselves from the task of acknowledging him for his own views. In my opinion, too much time is being wasted on cultivating fear-enticing headlines when there is something more to be said about his candidacy. We should simply recognize O’Leary for his own- good and bad- ideas, before denouncing him for the things that he is not. This is particularly important for a candidate who has a wide array of new and innovative ideas of his own. In fact, O’Leary could be crafting a new brand of conservatism, one that has evolved with the country’s liberal rights culture. While countries like the United Kingdom and the United States move towards protectionist policies, blaming free-trade and immigration for their economic downturns, O’Leary seeks to capitalize on a Canada that is commitment to competitive free trade. Contrary to his Western counterparts, O’Leary advocates that trade and inclusivity, far from being the problem, are the solution. His logic: multicultural inclusivity can be translated into a competitive advantage for Canada by creating the most favourable and accessible work environment in the World. Highly qualified and skilled workers, in his opinion, can pave the way towards an inclusive and prosperous Canadian economy. Some have argued that O’Leary’s rhetoric, couched in terms of economic theory, veils any genuine sense of loyalty towards Canadian liberal values. For the time being, O’Leary’s candidacy alone remains the target of scrutiny, causing some of the multifaceted and holistic aspects of his platform to be categorically underestimated. For instance, O’Leary believes that primary education curriculums should institutionalize tolerance and respect for diversity, to condition sensitivity at a young age. A position which is not only pressing in our current day and age, but as well would seem to juxtapose his ideological platform with that of his purported American counterpart. By contrasting their different economic and cultural stance points, it is clear that O’Leary and President Trump do not share many similarities. Rather, the comparison seems like a gross exaggeration of the few similarities that exist between the two personalities, namely, their success in business and on reality-TV. Ultimately, his success in this campaign will be derived from his ability to shed the persona he spent years creating, the heartless businesses man who cares about only one thing: money. However, his presentation at McGill gave me the impression that he may be capable of proving Canadians otherwise. But then again, coming from a man who has spent his whole life saying things that make “good television,” there is no way to know for sure.